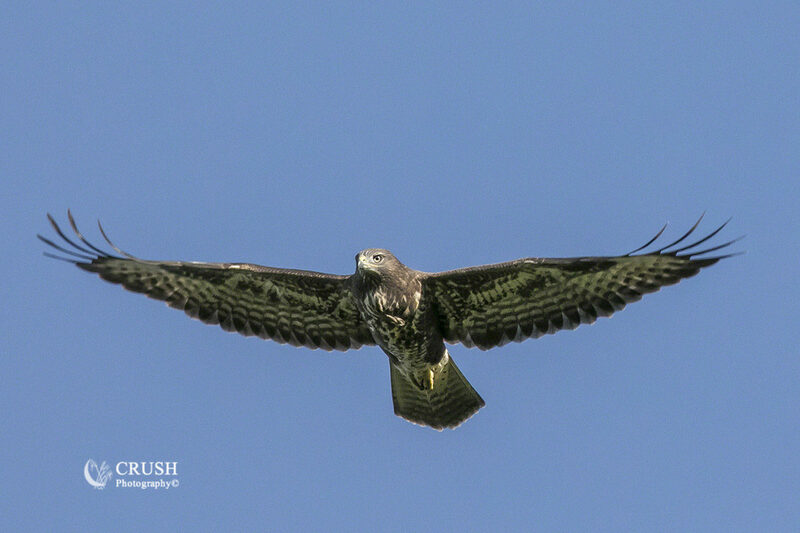 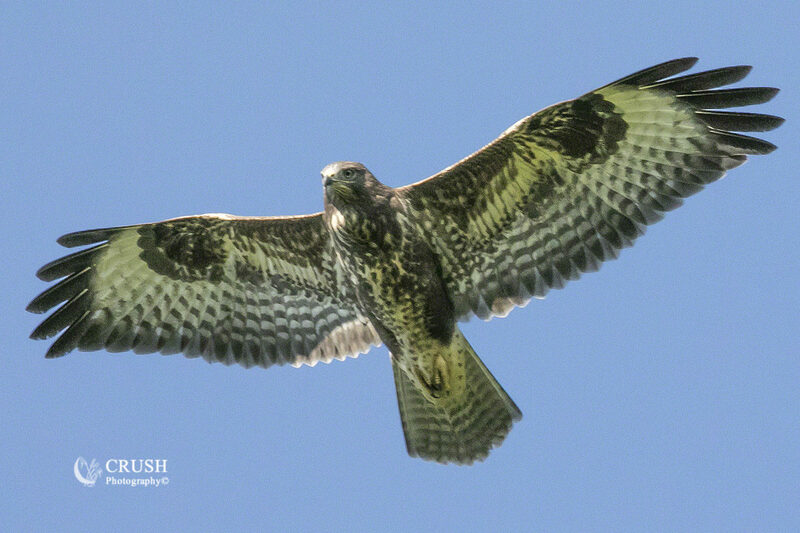 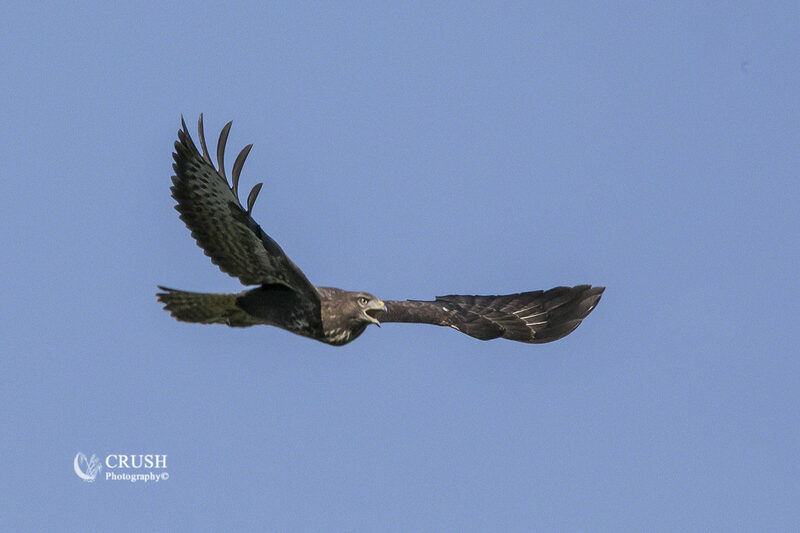 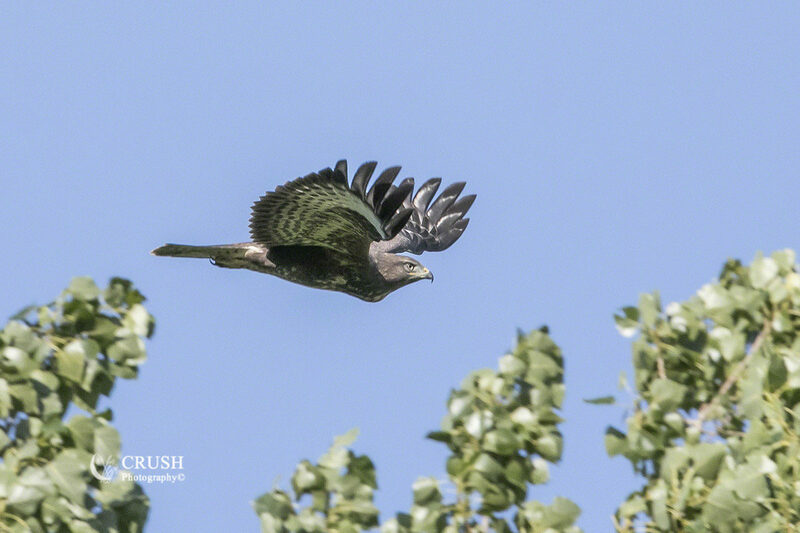 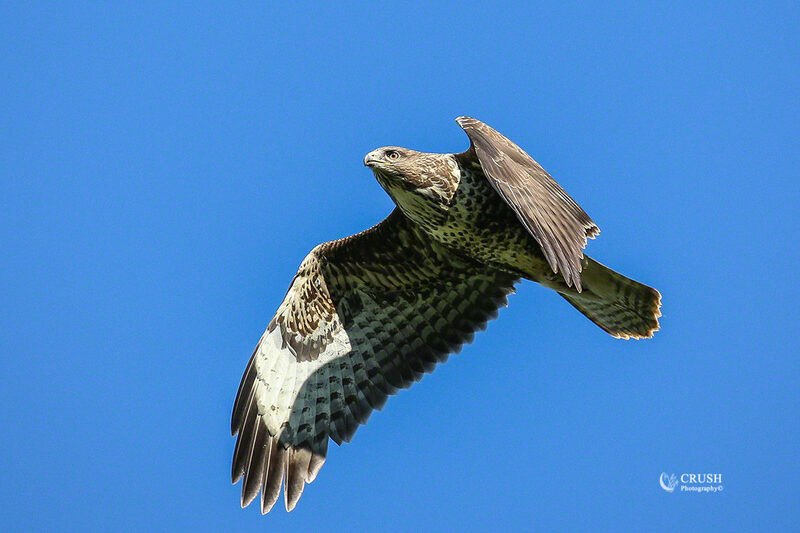 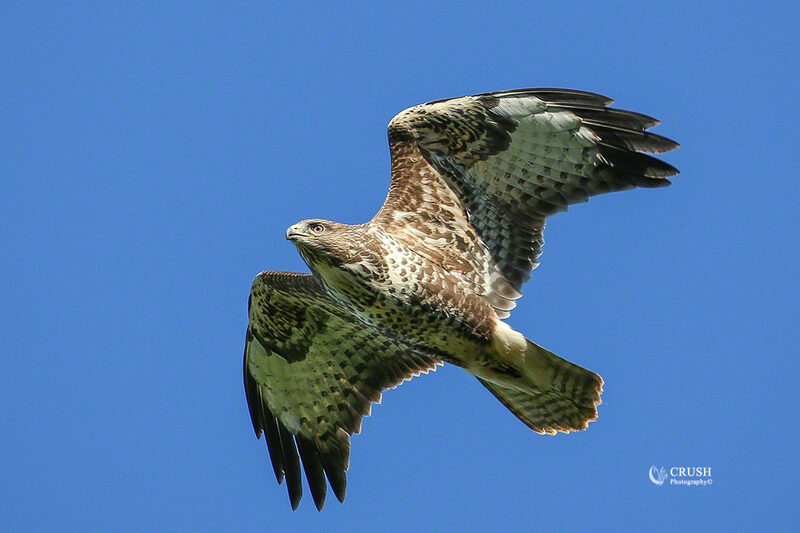 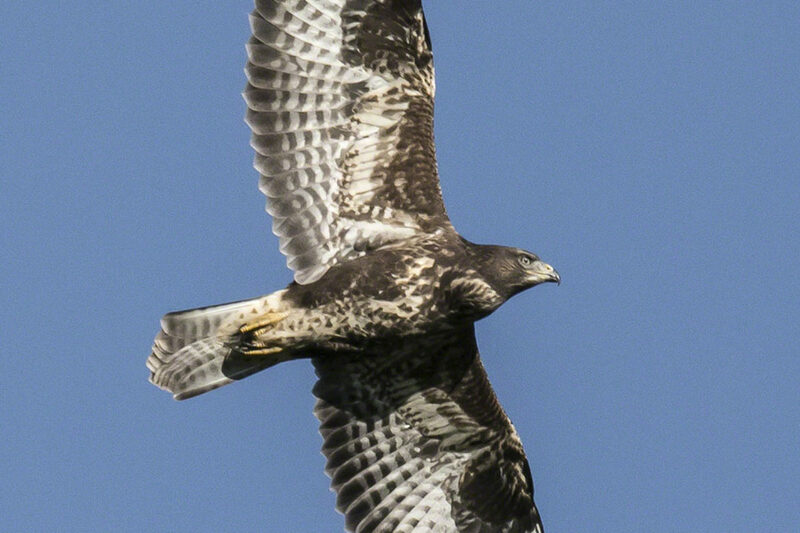 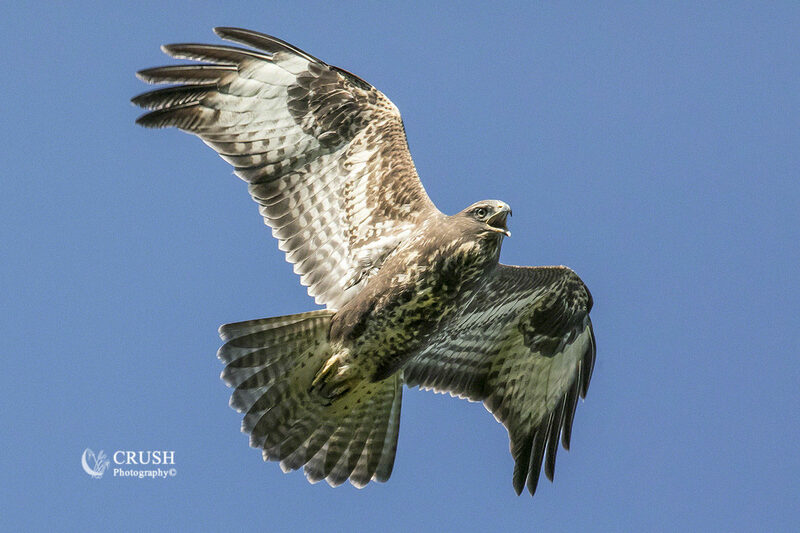 The common buzzard breeds in woodlands, usually on the fringes, but favours hunting over open land. 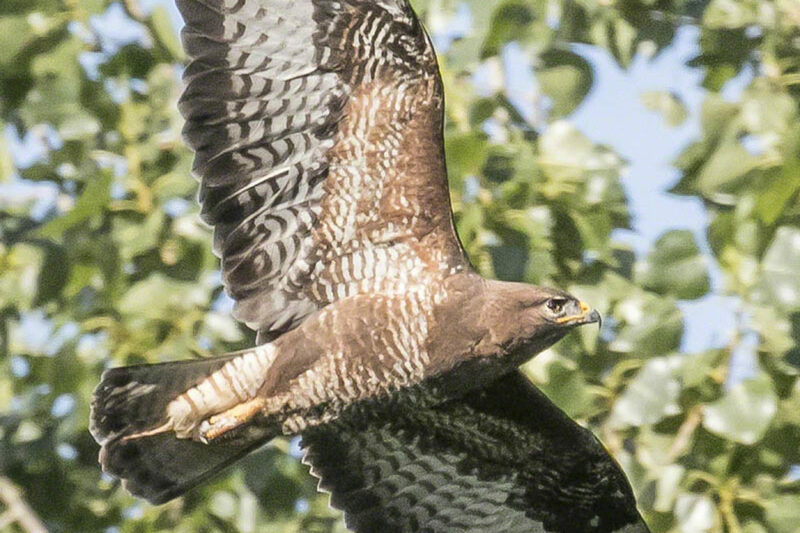 It eats mainly small mammals, and will come to carrion. 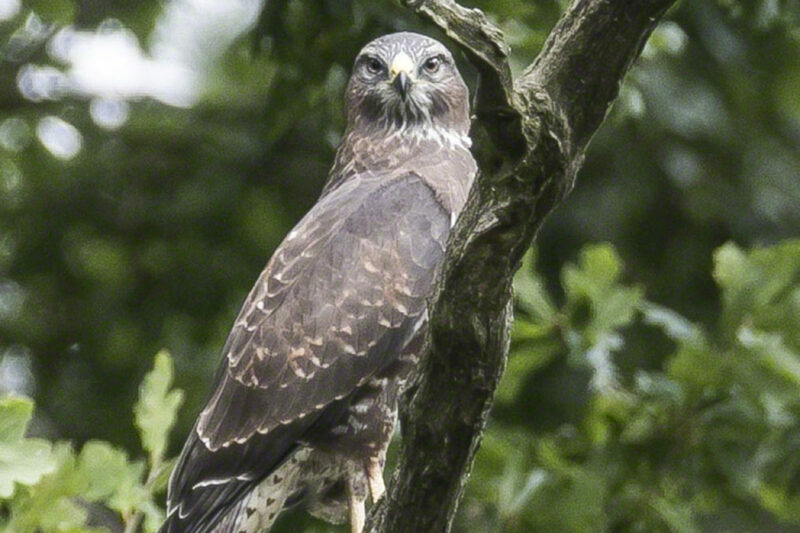 A great opportunist, it adapts well to a varied diet of pheasant, rabbit, other small mammals to medium mammals, snakes and lizards, and can often be seen walking over recently ploughed fields looking for worms and insects. 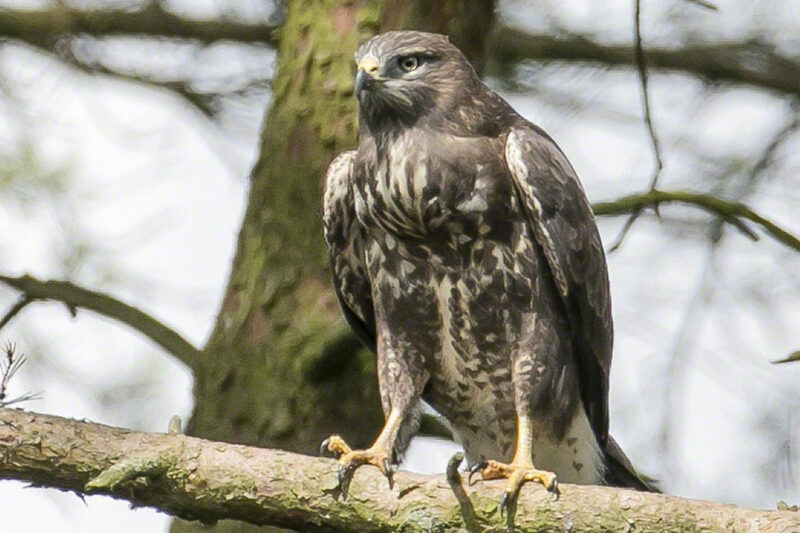 When available, common buzzards feed on their preferred prey species, field voles Microtus agrestis, in relation to their abundance. 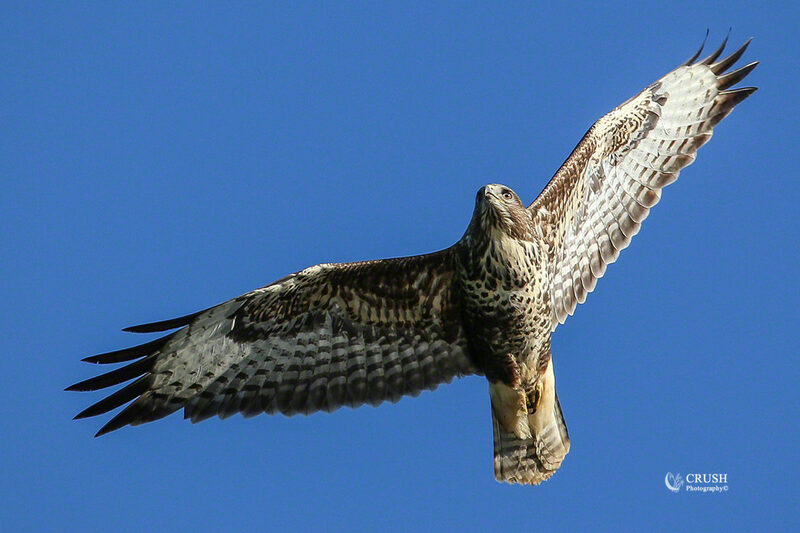 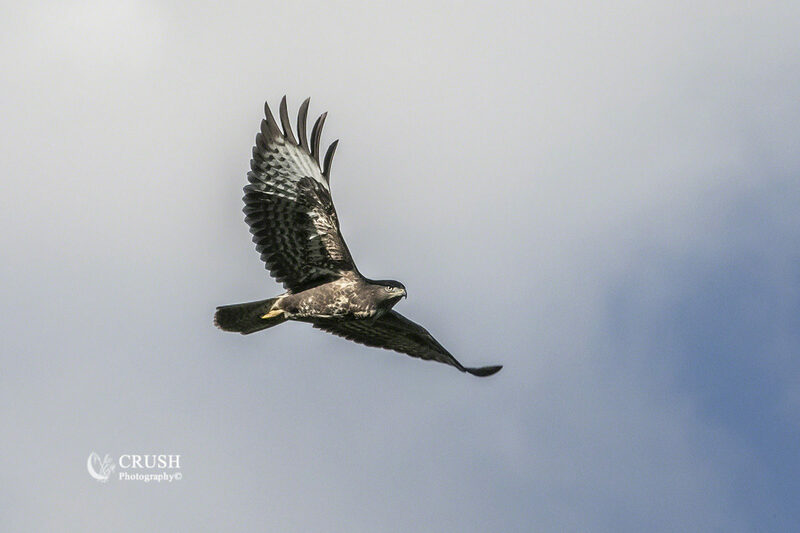 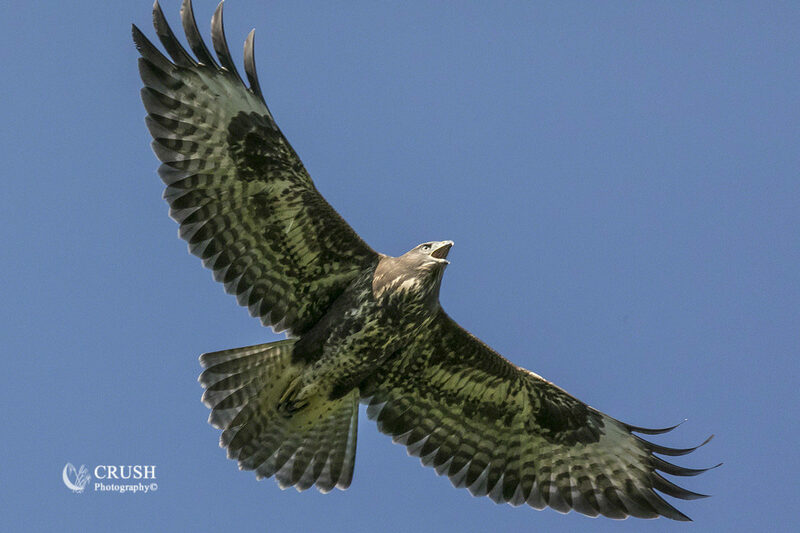 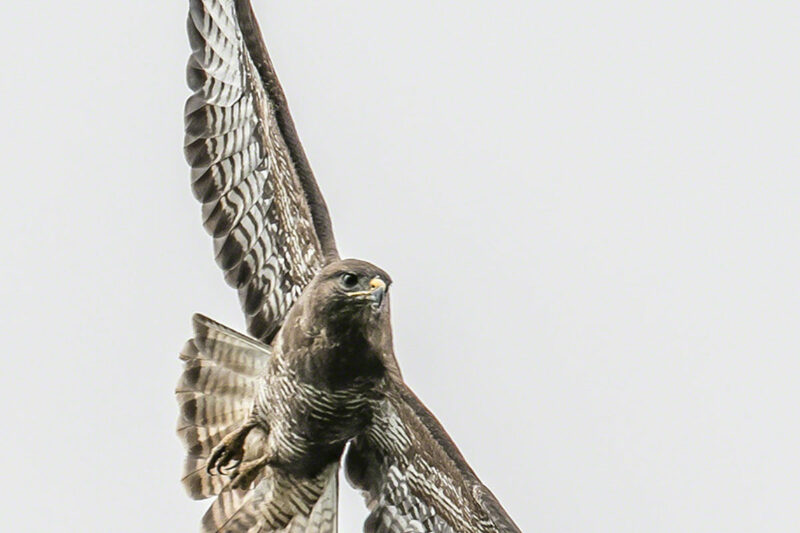 When the abundance of field voles decline, common buzzards switch to foraging on a diversity of prey items typical of farmland habitats.